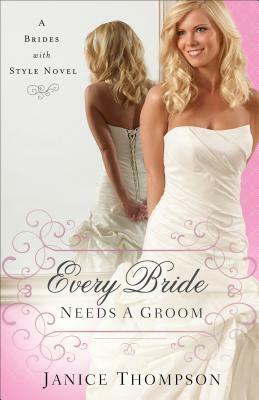 Katie Fisher is ready to get married to her long-time boyfriend and settle down in the small town where she’s grown up. Who would ever want to live in the big city? This Texas girl is sure her boyfriend is going to propose soon since he’s been making a couple trips to Dallas – possibly to buy a ring? With her cousin’s urgings and after reading the fine print, Katie enters a contest in Texas Bride magazine to win a custom designer bridal gown. However, when her boyfriend breaks up with her and moves away, Katie is devastated and confused, but her essay about her perfect dress and wedding for the contest wins her the dress and a photoshoot/interview with the magazine. Should she come clean about her lack of a groom and wedding date? Will Katie ever be able to find someone to wear the dress for? Will the manager of the bridal boutique – a pro basketball player helping his mother – allow her to keep the dress? Can they spin the story for the magazine? I absolutely loved this story by Janice Thompson. I love her characters because they are always so fleshed out. She creates characters that are endearing and authentic. I also love how she incorporates characters from her other books into the story so I can catch up with them. As a woman, I can definitely relate to planning the fairytale wedding and I didn’t want to put the book down to see what happened next. I loved all the small town antics and definitely felt like I would love to live there. I also enjoyed the side story with the grandmother, which had me laughing and crying at times. I recommend this book to anyone who enjoys a light, clean, fun romance.